Charming and romantic, this gown has a strapless neckline and an A-line silhouette. The dropped waistline features a delicate satin waistband and detachable bow. 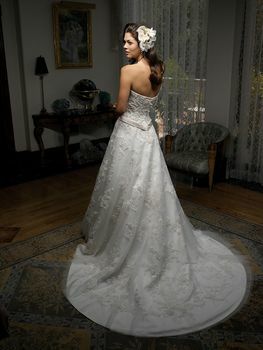 The beautiful lace overlay and chapel length train make this design timeless and elegant. This gown will make any girl feel like a princess!